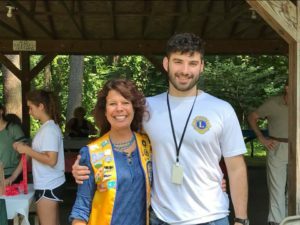 Lion’s Club of New Milford has been a part of the New Milford community for 89 years and counting. Most importantly they host many community projects and charitable causes. That’s why Tiger’s Eye Insurance, LLC has recently joined the ranks as a volunteer and active members. We are committed to giving back to our Community! 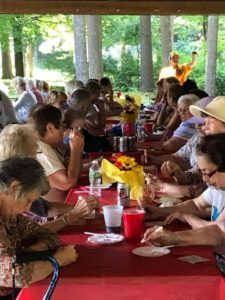 Recently, we volunteered at the Senior Picnic at Harrybrooke Park in New Milford on August 24, 2018. 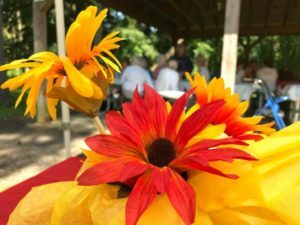 Most importantly this was a completely free event to Seniors, to enjoy a picnic lunch, bingo with prizes, live music and a social outing with their neighbors and friends. Lions Club President Tammy Deak of Deak Electric is posing with one of our many Lions! If you are interested in joining the Lions Club please send a message on our page or to Tiger’s Eye Insurance, LLC. Building a strong community is of vital importance to Tiger’s Eye Insurance! Please feel free to click on the links and like our pages.